One in five U.S. taxpayers could owe the IRS money this year. If you can't pay on the 15th, take a deep breath — there are things you can do. It’s the surprise you don’t want when preparing your tax return — instead of the anticipated refund, you owe money. Millions of Americans are getting hit with unexpected tax bills this year. In a report to Congress last year, the Government Accountability Office (GAO) estimated that about 30 million people — 21 percent of U.S. taxpayers — would owe the IRS money this tax season because their employers didn’t withhold enough from their paychecks during the year. Three companies are currently authorized by the IRS to handle credit card payments. They take Visa, Mastercard, Discover and American Express. Each company has a service fee, about 2 percent of the amount you’re charging (with a minimum fee of about $2.50). So, if you owe the IRS $2,000, you’d pay the payment processor about $40 to use your credit card. Keep in mind: If you can’t pay off that bill in full when it shows up on your credit card payment, you’ll be stuck paying interest. Right now, the average interest rate is 17.84 percent, according to Bankrate.com. If you qualify, you can charge the tax payment (or some of it) and potentially have up to 18 months to pay off the bill with no interest. You might be able to get a personal loan from your bank or credit union to cover the payment and pay significantly less than carrying that balance on a traditional credit card. You can compare personal loan rates at Bankrate. Yes, Uncle Sam will let you make pay over time. You can apply on the IRS website. Your specific tax situation will determine which payment options are available to you. There is a short-term plan (paying in 120 days or less) with no set-up fee and a long-term plan (paying in more than 120 days). You will pay interest on the unpaid balance. “I recommend that people look into these IRS installment plans, because they really can be a great way to manage this unexpected debt,” Coombes told NBC News BETTER. For those who would suffer serious financial hardship by paying their tax debt, the IRS might be willing to extend the time frame for payment or accept an “offer in compromise” that settles the debt for less than the full amount owed. The one thing you don’t want to do is raid your retirement accounts, Coombes said. That could have tax consequences and involve early withdrawal penalties. Confused about the new tax law? Get more expert tips and advice. Even if you can’t come up with all the money by April 15, you still need to file on time. And pay as much as you can by tax day because you’re going to be charged interest and penalties on the unpaid balance. In January, the IRS said it is generally waiving the estimated tax penalty for “any taxpayer who paid at least 85 percent of their total tax liability during the year through federal income tax withholding, quarterly estimated tax payments or a combination of the two.” The usual percentage threshold is 90 percent to avoid a penalty. DON’T WANT THIS TO HAPPEN AGAIN? You can avoid this unpleasant tax surprise next year by adjusting your W-4 form with your employer to withhold more from each paycheck. 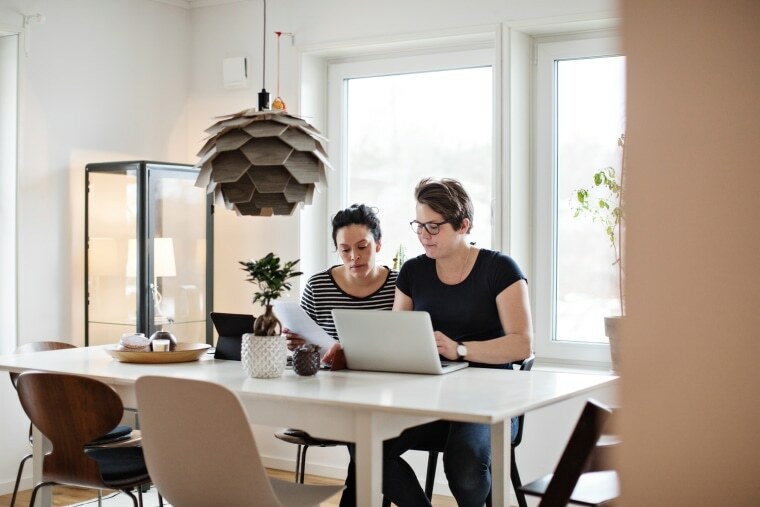 Tax experts recommend filling out a new W-4 anytime your personal situation changes, such as marriage, divorce, birth of a baby or buying a house. The IRS has a withholding calculator on its website to help you make your withholding as accurate as possible. Herb Weisbaum is a contributor to NBC News and writes about consumer-related issues. He can be found on Facebook,?Twitter, or?The ConsumerMan website.